More Evidence That Home Prices Have Hit Bottom. Published on September 7, 2012 in analytics and general info. Closed Tags: Boston condominium market, Boston real estate, Boston sales outlook, Boston South End condo sales, Cape Cod condo sales, downtown Boston real estate. Great article in the WSJ. Nick Timiraos does a great job in putting things in perspective. In each of the last three years, home prices have increased in the spring and summer, when more people are buying homes, before giving back all of those gains and then some in the fall and winter, when activity cools. But it is beginning to look like that might not happen this year, absent a major stumble for the economy. Home prices in July were up by 3.8% from one year ago, the largest year-over-year jump in six years. Moreover, prices have shot up by 9.6% from February, when they registered their lowest levels of the housing downturn, according to CoreLogic CLGX +0.40% data released Tuesday. 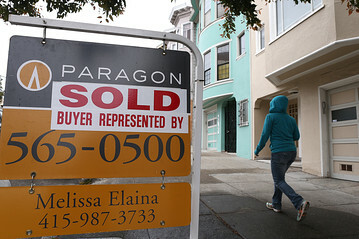 This adds evidence to the case that U.S. home prices may have hit bottom earlier this year. Even though prices will soften in the autumn, “we have a much better supply and demand dynamic” than in previous years, said Mark Fleming, chief economist at CoreLogic. So when people say they believe home prices haven’t reached a bottom—that this year’s seasonal gains will be wiped away by January or February of next year—here’s the relevant question: Will home prices fall by 9.6% in the next six months? Anything, of course, is possible. Home prices fell in the winter—what Mr. Fleming calls the “offseason”—in each of the last three years to record a new low. But they have not fallen by 9.6% in any six-month span since March 2009, which was when the U.S. economy was still in recession. That’s the good news. Here’s the bad news: While the year-over-year comparisons look good right now, the economy—and workers’ wages—aren’t growing fast enough to justify this kind of increase on a sustained basis. Instead, the snapback in home prices in the last six months is more an indication of how prices “over-shot” over the past year. Investors, sensing deals, began buying up homes. The most likely scenario for home prices over the next year is that they may rise, but not at the breakneck pace of the past few months (and they’ll fall on a relative basis in the coming months due to normal seasonal factors). There are other serious headwinds. It’s still hard to get a mortgage, and many households have too much debt. Millions of homeowners owe more than their homes are worth. Millions more have enough equity to sell their house but not enough to make a down payment on their next house and pay a real-estate broker’s commission. As we’ve written many times before, the strong rise in home prices this year owes as much to sharp declines in inventory as it does to demand-side improvement. Banks have been much slower to take back and list foreclosed properties, easing pressure on home prices but leaving a bloated “shadow inventory” of potential foreclosures. These homes will weigh on markets for years, though there’s less evidence that they will be dumped on the market at once. While the shadow inventory may not lead to a big drop in prices that some have feared, it will probably keep a lid on future home-price gains. Finally, lower mortgage rates have dramatically increased the purchasing power of today’s home buyers when compared to one year ago. Some real-estate executives are nervous that demand isn’t stronger given today’s low mortgage rates, and they’re worried about what will happen if rates rise. The bottom line: Don’t be surprised if the all-time low in home prices is in the rearview mirror. But this doesn’t mean a full-on recovery is here, and there’s little evidence that the current pace of improvement can continue. For now, home prices appear to be bumping along a bottom.